Atlanta Jewish Film Festival introduces a first-ever edition of AJFF On Campus, a three-day, mini film festival for student audiences, to be presented in partnership with Emory University. AJFF On Campus will take place at Goodrich C. White Hall on the campus of Emory University, Thursday, October 19 to Saturday, October 21, 2017. Curated and produced with student participation, the lineup includes six highly-lauded films from the catalog of films previously screened at the annual Atlanta Jewish Film Festival. 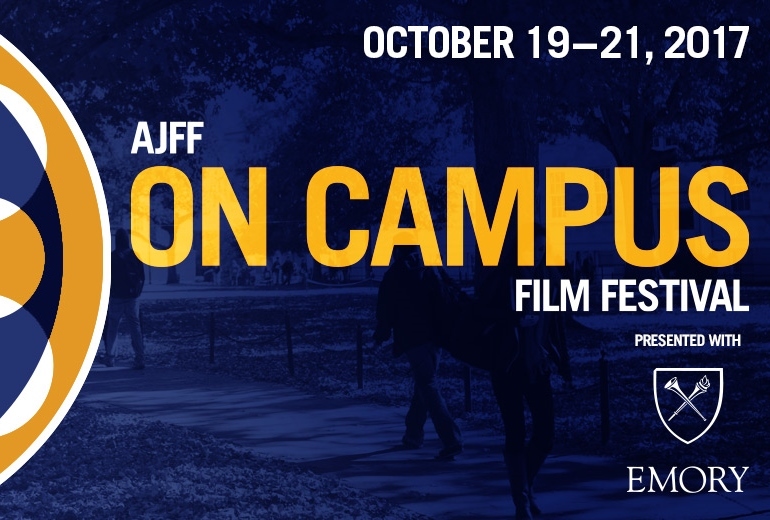 AJFF On Campus will include both an Opening and Closing Night reception, introductory remarks by Emory faculty and students, as well as a select number of post-film Q&A discussions with filmmakers, expert speakers and actors. Among guests featured will be former star of The Mindy Project – and How to Make It in America and October Road grad – Bryan Greenberg, who will be attending for a post-film Q&A following the Already Tomorrow in Hong Kong screening. For more details + list of featured films, check out the full press release.